The world's leading suppliers of auto components and equipment are eyeing new opportunities, despite recent slowdown in vehicle sales. 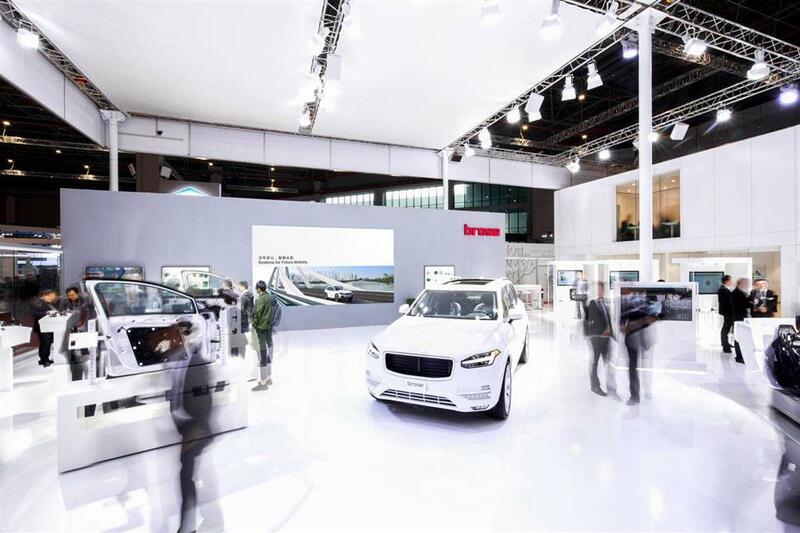 Auto parts suppliers are optimistic about the Chinese car market, as well as new opportunities afforded by advances in e-mobility and autonomous driving, industry representatives said at the ongoing Shanghai International Automobile Industry Exhibition. 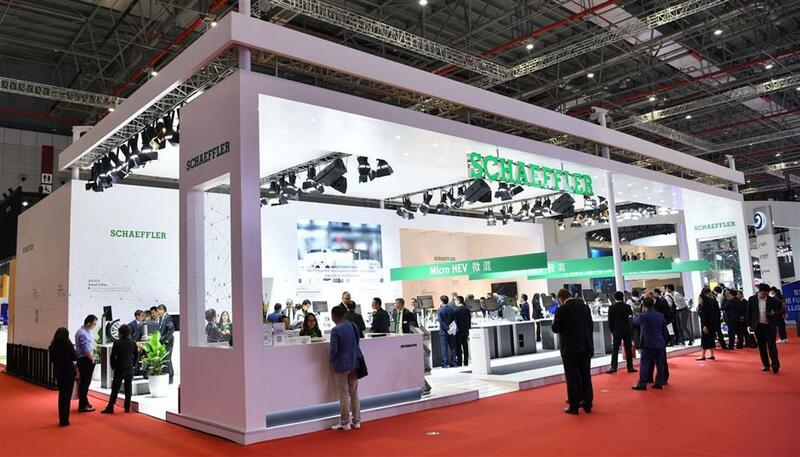 German automotive and industrial supplier Schaeffler expects its China business to double in the next five to seven years, and has been readying itself for a transformation in transportation and mobility services. Matthias Zink, CEO of Automotive OEM at Schaeffler, told a media briefing that the company expects to prepare for the technology shift by offering bottom-up upgrades and solutions and addressing safety concerns in autonomous driving as well. Schaeffler China President Zhang Yilin said currently half of its China business is contributed by local automakers and while the market saw a dip last year, it has not reached its peak. Schaeffler is presenting an extensive range of products for application in various types of powertrains at Auto Shanghai. It also announced the start of production for electric SUV axles at the company’s manufacturing base in Taicang, Jiangsu Province. Germany’s leading mechatronics provider Brose is eyeing an investment of at least 300 million euros (US$339 million) in the next three years to expand production capacity and strengthen research and development. Kurt Sauernheimer, CEO of Brose Group, said last year China sales advanced 5 percent against an overall drop in the market. “We expect China to represent 30 percent of our global business very soon and we will grow our customer portfolio in Asian, and especially China,” he said. Trend toward e-mobility will bring new opportunities for Brose’ mechatronics offerings, said Brose China president Jenny Xiang in an interview. Brose also notes increasing local demand for comfortable, functional and tailor-made interior decor and it will continue to roll out localized product offerings for the domestic market. The China Association of Automobile Manufacturers estimates that new-energy vehicle (NEV) sales in the country are set to reach 1.6 million units this year. Last year, NEV sales in China surged 61.7 percent year on year against a 2.8 percent drop of the overall auto market. Faurecia, another leading automotive technology supplier, plans to double its sales in China over the next four to five years, thanks to growing demand for sustainable mobility and personalized on-board experiences. "China is one of Faurecia's key and strategic markets, and represented about 15 percent of the group's sales last year," Li Jingcheng, vice president of strategy and development at Faurecia, told Shanghai Daily. "We expect this figure to exceed 20 percent within the next four to five years." Having first tapped the Chinese market in 1992 through a joint-venture in Wuhan, capital of Hubei Province, Faurecia has expanded its China presence to 20,000 employees at four R&D centers and 70 factories, with 2018 sales hitting 3 billion euros. At this year's auto show, Faurecia has brought its latest technologies and innovations including a fully integrated "cockpit of the future" which features a more connected, personalized and immersive on-board experience. It's also showing technologies for powertrain electrification, clean mobility and zero emissions for passenger vehicles, commercial vehicles and high horsepower engines. Meanwhile, parts giant Continental will invest heavily in new Chinese production sites over the coming years, including a “sharp expansion” in powertrain production capacity in Tianjin and Changzhou. Continental expects “diversified demands” from the Chinese market, despite a sales slump in 2018. Calsonic Kansei, which provides components for the McLaren F1 Team, is eyeing new joint-venture partnerships and expansions aimed at tapping into “rapidly growing electricization in China”. The Japan-based auto parts maker has 15 bases covering manufacture plants and research centers in China. Looking ahead, it plans to establish an electric-vehicle joint venture with two Chinese automakers.